Summary: Pocket Book Fiction Paperback, copyright 2000 with 569+ pages. 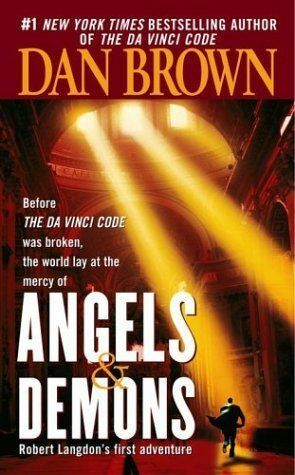 Before The Da Vinci Code was broken the world lay at the mercy of Angels and Demons - Robert Langdon's first adventure. My Comments: This book is the prequel to The Da Vinci code. Since the DaVinci code isn't out in paperback yet, I figured I'd start with the prequel. Ancient secret societies, Suspense thriller, real-time adventure. A plot with a roller-coaster ending. I thought I knew what was going on, I thought the climax was near, but then I noticed that there were way to many pages left. This engrossing read is a splendid example of writing. Rich characters, an engrossing plot with a miraculous ending. Summary: With "The Da Vinci Code," Dan Brown masterfully concocts an intelligent and lucid thriller that marries the gusto of an international murder mystery with a collection of fascinating esoteria culled from 2,000 years of Western history. A murder in the silent after-hour halls of the Louvre museum reveals a sinister plot to uncover a secret that has been protected by a clandestine society since the days of Christ. The victim is a high-ranking agent of this ancient society who, in the moments before his death, manages to leave gruesome clues at the scene that only his granddaughter, noted cryptographer Sophie Neveu, and Robert Langdon, a famed symbologist, can untangle. The duo become both suspects and detectives searching for not only Neveu's grandfather's murderer but also the stunning secret of the ages he was charged to protect. Mere steps ahead of the authorities and the deadly competition, the mystery leads Neveu and Langdon on a breathless flight through France, England, and history itself. Brown ("Angels and Demons") has created a page-turning thriller that also provides an amazing interpretation of Western history. Brown's hero and heroine embark on a lofty and intriguing exploration of some of Western culture's greatest mysteries--from the nature of the Mona Lisa's smile to the secret of the Holy Grail. Though some will quibble with the veracity of Brown's conjectures, therein lies the fun. 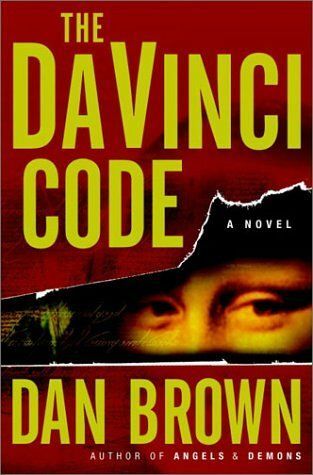 "The Da Vinci Code" is an enthralling read that provides rich food for thought. " --Jeremy Pugh"
My Comments: The best seller by Dan Brown. A conspiracy theory thriller that leaves the reader forever affected. What exactly is the 'Holy Grail'? Would you know it if you saw it? The plot here quickly spins out of control, leaving our protagonists running from city to city across Europe, searching for something that might exist only as a concept. A very well written book. Deserving of a motion picture treatment.